You can feel good about your purchase of a Little Sun Solar Light. Not only are you getting an awesome little solar light, you’re also helping those in need. The Little Sun helps get clean, reliable and affordable light to areas without access to electricity. Appearance:The Little Sun is an attractive solar light. The bright yellow casing is in the shape of a sun with rays. The back has decent sized solar panel that is definitely made with quality in mind. As small as it is, the Little Sun puts out quite a bit of light with 2 different settings. Taking just 5 hours of direct sunlight to completely charge it, the bright setting will give you 4 hours of light with the soft light setting giving you 10 hours. If the solar power is not quite enough it does come with 3 AAA rechargeable batteries. 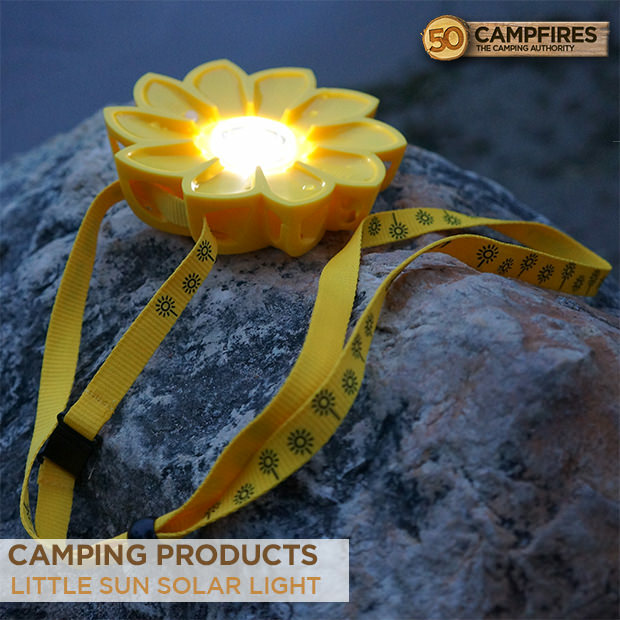 In addition to being small, the Little Sun comes with a detachable lanyard for easy carrying. With openings between the sun rays, the light can also be attached to a backpack or other object easily. 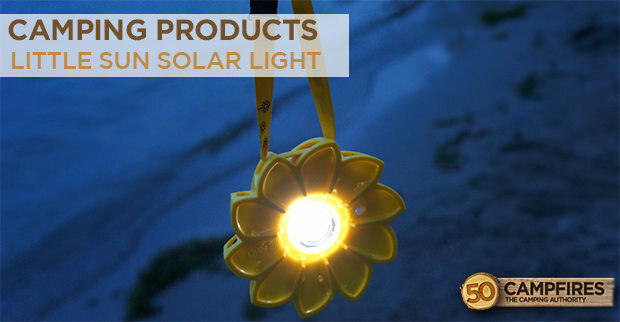 Ease Of Use:You really can’t get much easier of a solar powered light than the Little Sun. With just one button you can flip through the 2 light settings. The flat, solar panel bottom allows it to easily sit on a table and the detachable lanyard makes it easy to hang or carry with you. To get it charging just lay the solar panel face up on a flat surface with direct sunlight. Durability:A product meant to help the 1.6 billion people with out electricity should be well built and it is. The Little Sun has a thick, UV resistant plastic casing that houses the solar panel and light. The solar panel is a high quality monocrystalline that is meant to capture the most amount of sunlight. Weight:The Little Sun is under a half pound so you’ll barely even know it is hanging from your neck. Having a super lightweight light source while you’re out camping or hiking is fantastic. Even if you’re car camping you don’t want to spend hours packing or unpacking when you get home. Having small, weight light products will cut down your packing time and increase your relaxation time! Value:It’s hard to put a value on what purchasing a Little Sun does. Not only are you getting a great solar lamp but with the purchase you are also helping others. The Little Sun is $30 but if you want to boost your contribution they allow you to make an additional contribution of up to $140. They are focused on not just providing short term light but a long term sustainable plan for areas that are off grid. That should make you feel good about having a Little Sun solar light.